In the Australian capital of Canberra, a fleet of commercial delivery drones has officially been launched for service. The drones are owned by Wing, a subsidiary of Goole’s parent company Alphabet. The drones were tested in the area for a year before officially launching. At first many in the areas surrounding Canberra complained about the noise the drones made, however, the new fleet of drones are said to be quieter. That doesn’t mean that there have been safety restrictions applied to the drones’ usage. The drones can only fly during the day starting at 8am and are forbidden from flying over busy roads and crowds. So far, the drones have been only making small deliveries such as coffee and takeout orders. 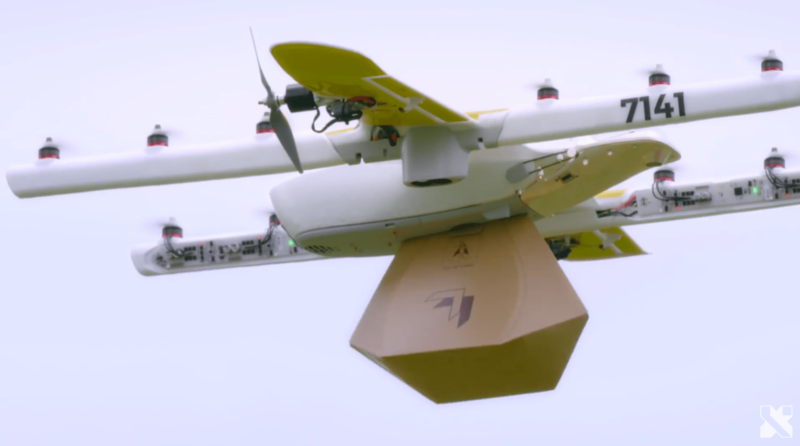 Are we one step closer to drone delivery becoming an everyday occurrence, or will they be more of a nuisance if deployed on a larger scale? Only time will tell. If you follow entertainment news at all, you may have heard about the unfortunate murder of L.A. based rapper Nipsey Hussle. He was gunned down outside of his own clothing shop in L.A. towards the end of March. The rapper was so beloved that there will be a memorial service for him at the Staple’s Center arena. The tickets to his memorial were given out free on a first come first serve basis. That hasn’t stopped scalpers from trying to sell the free tickets on craigslist for upwards of $500 a piece. Craigslist themselves have removed the ads scalping the tickets to the memorial. While we applaud craigslist for the move we have to wonder why craigslist doesn’t use this power more often when it comes to other questionable items for sale on their platform. If you did happen to buy a ticket to the memorial service on craigslist you may be out of luck. The tickets’ distributor says that the tickets are being distributed through a mobile app and are non-transferrable. A group of Amazon employees that number in the thousands have called on the retail giant to do better when it comes to affecting climate change in Amazon’s daily business. While Amazon has promised to “reach 50 percent of all Amazon shipments with net zero carbon by 2030” some Amazon employees say that’s not enough. 4,520 Amazon employees have signed an open letter to Amazon CEO Jeff Bezos asking for better environmental protections during Amazon’s daily proceedings. If you scroll through the names of the signatories of the letter you might notice that the majority of them are technical engineers and managers and not many warehouse workers. Amazon has been widely criticized in recent times for their alleged mistreatment of workers in their distribution centers. One has to wonder where the open letter is for that. 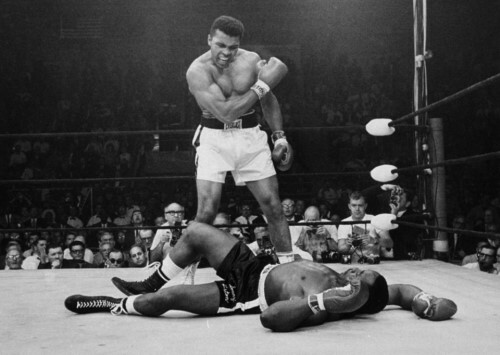 Off Topic Friday: Are scalpers disgracing the memory of Ali? As most of us know Muhammad Ali passed away this past weekend. A public memorial is scheduled today at the Yum Center in Ali’s hometown of Louisville, Kentucky. The admission to the event is free and thousands lined up yesterday in order to get tickets. It didn’t take long for scalpers to start trying to sell the tickets online for exorbitant prices leading a number of people to claim that this goes against the memory of Ali. While Ali was probably the greatest boxer who ever lived he was so much more than that. Not only was Ali active in the Civil Rights Movement but was so adamantly opposed to the Vietnam War that he was stripped of his heavyweight boxing title and was suspended from boxing for four years after refusing to be conscripted into military service. Whether or not you agree with his stance you have to admire his conviction considering it kept him away from his passion for four years. After his boxing career was over Ali was still active within social causes around the world and at one point was even awarded the Presidential Medal of Freedom. We also can’t forget the work Ali did for raising the awareness of Parkinson’s disease which had plagued the boxer since 1984. The thought of people extorting other people just to attend his public memorial would probably be anathema to him. Since the ticket price was zero, selling the tickets for any amount is considered illegal. Ali was a hero to many and those who looked up to him should not be charged and arm and a leg for a chance to say goodbye to The Greatest.